Beyond The Stars is a family owned company built on strong moral values and a love for dance. Now in our 14th year, we promise that our focus will never change; the dancers will always come first! We’ll keep working to provide a positive competition experience for dancers and their families. We are constantly striving to improve by reevaluating everything from our rules to our trophies each and every year. Every BTS employee takes pride in our reputation for hosting organized, fair and fun events that run on time or ahead of schedule. Our judges are not the current reality TV sensations; they are professional dancers or studio owners with extensive teaching experience who understand the importance of each moment the dancers spend on our stage. We offer three levels of competition to give every dancer the best opportunity to compete against dancers with similar training. BTS awards overalls and cash prizes in all three levels to recognize the hard work and accomplishments of the dancers in each level. In 2019 we are excited to host over 60 dance events and 3 National Finals. We hope you’ll join us on our 14th tour. For the non-stop dancer! Our convention and competition give dancers an opportunity to work with some of the best choreographers, dancers and teachers in the industry. Combine amazing educators with state-of-the-art technology and a streamlined administrative team, and you get a great weekend of dance! We also strive and give the dancers every opportunity to do what they love to do most, dance! We offer Friday night classes and make sure dancers are exposed to more than just a ballroom! 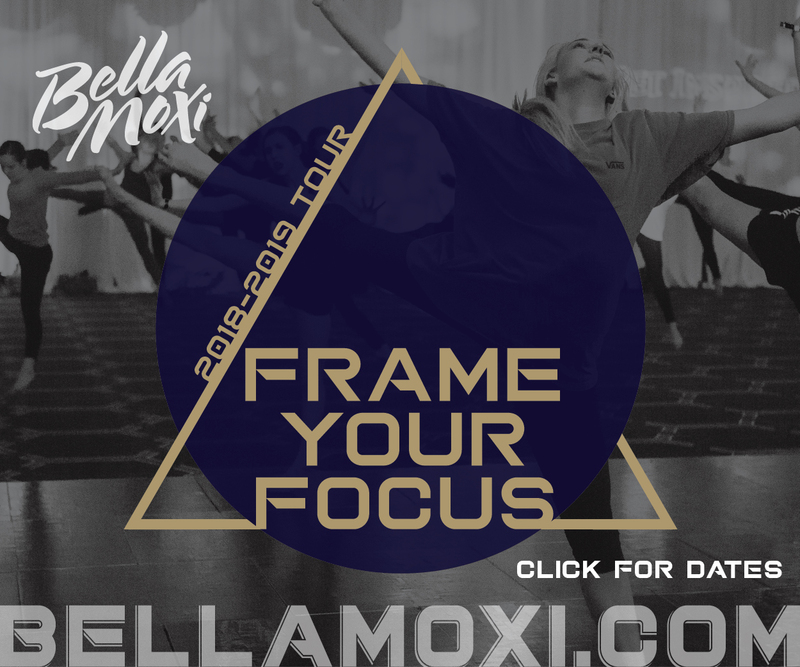 BellaMoxi is returning for the 2018-2019 year in their fourth season with the Frame Your Focus Tour! BellaMoxi has added two NEW cities, Philadelphia and Orlando, and now will be touring a total of 8 locations across the United States! Each weekend is bringing opportunities like no other beginning Friday night featuring their Emerging Artist Choreographic Festival, an opportunity for budding artists to showcase their choreography for the chance to win a cash prize and more. Classes are filled with instruction, education, and energy from top choreographers across the spectrum (i.e. Musical Theatre, Jazz, Ballet, Voice Barre, Modern, and more.) They are acknowledging the grit that is put in by dancers and creating opportunities to achieve their dreams. Express your force of character during the competition phase of the weekend. 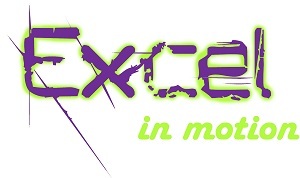 In addition to high score awards, BellaMoxi recognizes versatility and diversity in their participants. With all we are offering, we know we will find out who is this years “BellaMoxi Best”. We encourage you to come be a part of the BellaMoxi family. At Leap!, everyone will experience a fresh, fun, and exciting dance experience with state of the art lights, sound and video projection! Leap! offers two levels of competition. The “SKIP!” level is available for the recreational dancer while the “LEAP!” level is designed to accommodate dancers with a more competitive background. Leap! is excited to be the first and only competition in the industry to host a separate leaping competition at each regional event. This is a special portion of the competition weekend that offers dancers, who choose to sign up, an opportunity to show off their leaping abilities to the judging panel. Everyone feels like a winner at Leap! with their unique triple-bling medallion awards! So what are you waiting for? Come and join in the fun! And Take a Leap! for the stars. Universal Ballet Competition (UBC) has been critically acclaimed to be a leader, innovator and educator of ballet dancers at our competitions. The 2019 Tour takes us back to Atlanta, Georgia and Miramar, Florida and we will be introducing Philadelphia, PA to our tour. From the moment you walk into the theater, to the details of the awards ceremony, we take great care and add distinct details to every aspect of our competition and sincerely strive for it to be the premier ballet competition of its kind. The goal of UBC is to further educate teachers, parents and students about the ballet profession and to help prepare for the challenges that may come along. We have an open-door policy and welcome parents and teachers to come to observe our master classes and then invite them to stay for the competition that follows. All competitors have the unique opportunity to participate in master classes presented by international and national esteemed teachers. Students benefit from the high level of expertise of these fine professionals. These classes take place on stage before the competition begins. They will help the students to improve in specific areas of technique. While taking classes, students are being observed for scholarship considerations that will be awarded at the end of the competition. For the competition portion, dancers are required to compete in traditional classical repertoire as well as a contemporary piece. We offer intermediate and advanced levels of competition so that very dancer has an opportunity to showcase their level of training. 2019 Scholarships include American Ballet Theatre, The Joffrey Ballet, Texas Ballet Theater, Dance Theatre of Harlem, Alvin Ailey School, Alonzo King LINES Ballet, Duncan Cooper Workshop, Pennsylvania Ballet School and Sarasota Ballet. 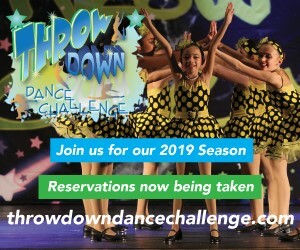 Breakout Dance Competition is an innovative company that strives to provide a memorable experience for all performers, studio owners, directors, families, and friends. Breakout takes pride in its unique vibe and motivating atmosphere which will leave dancers feeling empowered. Breakout is part of a family owned company that is fully immersed in the dance competition industry and built on strong moral values and a love for dance. Our goal is to promote an “all inclusive” event in which performers, studio owners, directors, families, and friends will enjoy the ultimate experience that our company is committed to providing. Each event ensures an opportunity for dancers to showcase their talents on a stage that inspires and ignites their desire to perform. A fair and professional judging panel, with extensive teaching experience, will provide constructive and encouraging critiques with the goal of promoting each dancer’s growth and confidence. Revolution Talent Competition was established in 2008. 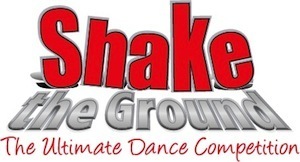 Our goal is to provide an affordable dance event that prides itself on customer service and excellence. Imagine...a dance competition that considers the dancer's vision of an event. Imagine...a dance competition whose national director was a competitive dancer, a dance teacher, a professional dancer and a master teacher. 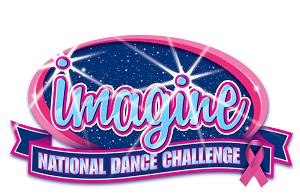 Imagine...a dance competition driven to make a difference in our studio families through partnership with the Breast Cancer Reasearch Foundation (BCRF.) Imagine...a dance competition that leads with heart. With over 30 events in 2019, Imagine is the fastest growing competition in the industry and is quickly becoming a must for studios all around the country. With over $20,000 donated to the BCRF in 2018, Imagine is determined to make a difference in the world through dance. With an exciting tour schedule, the top judges the industry has to offer, 3 levels, scholarships, star dollars, and more, you can't Imagine this event. You have to experience it for yourself!